At the age of one, Sayan, son of Anamal Sheik, began suffering from breathlessness and after the family and upon consulting with the doctors he was brought to Bangalore at Jayadeva Hospital where he was diagnosed with Congenital Heart disease. 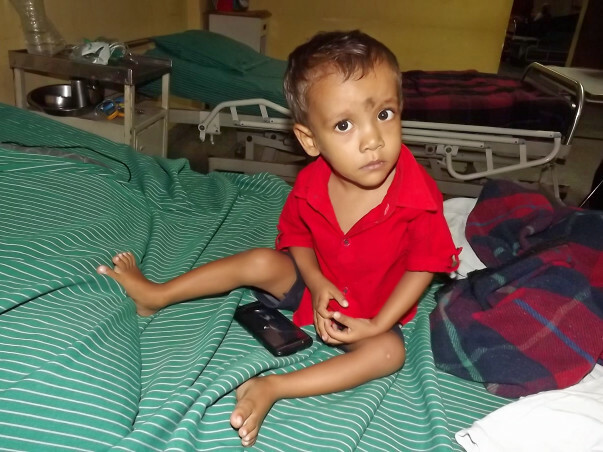 The only treatment for Sayan was an Open heart surgery which would approximately cost Rs 1.10, 000/-. The family has been staying in Bangalore from few months and has spent the entire money for the child’s investigations & stay. Unfortunately, Anamal, with a salary of just 4000 Rs cannot afford the cost of the treatment. He needs our help to save his son. 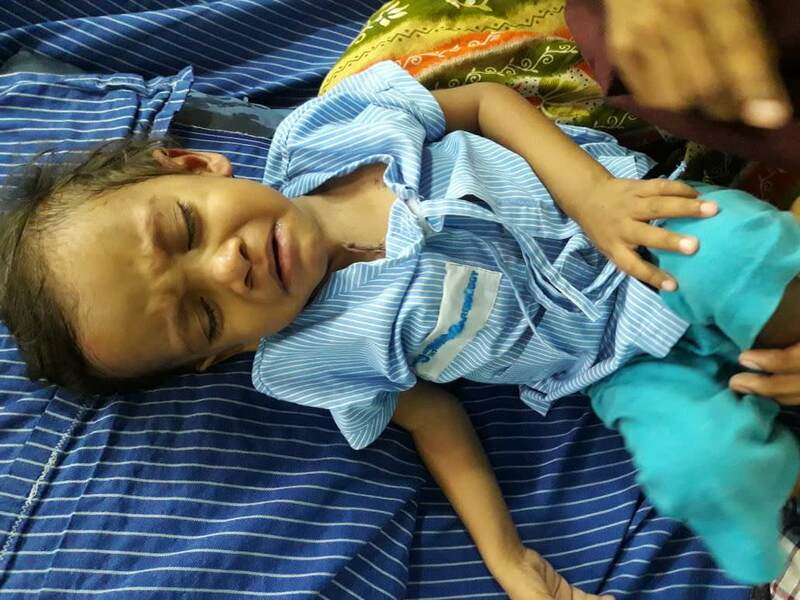 Your contribution can give Sayan the treatment he deserves. Here is an update on Sayan's health. 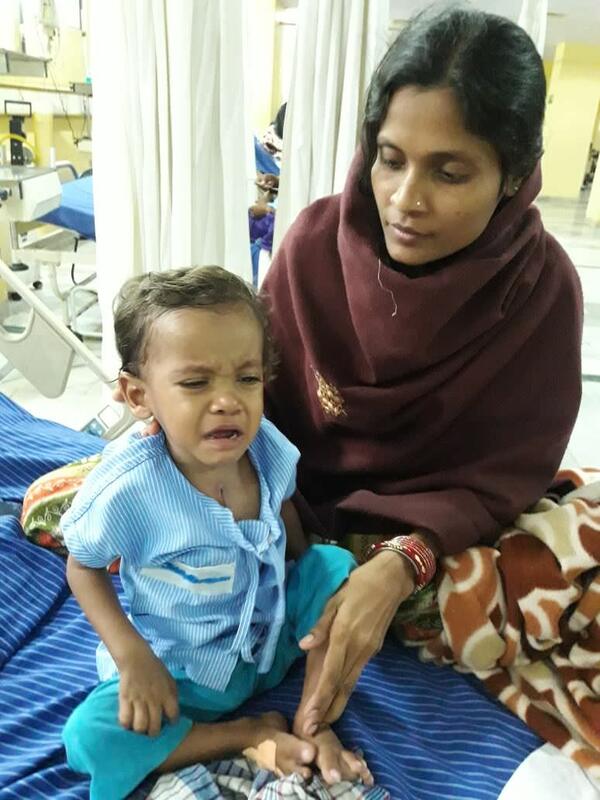 Master Sayan, from Jharkhand, has undergone Open Heart Surgery. It was her second admission as he developed some infection and discharged before the surgery. 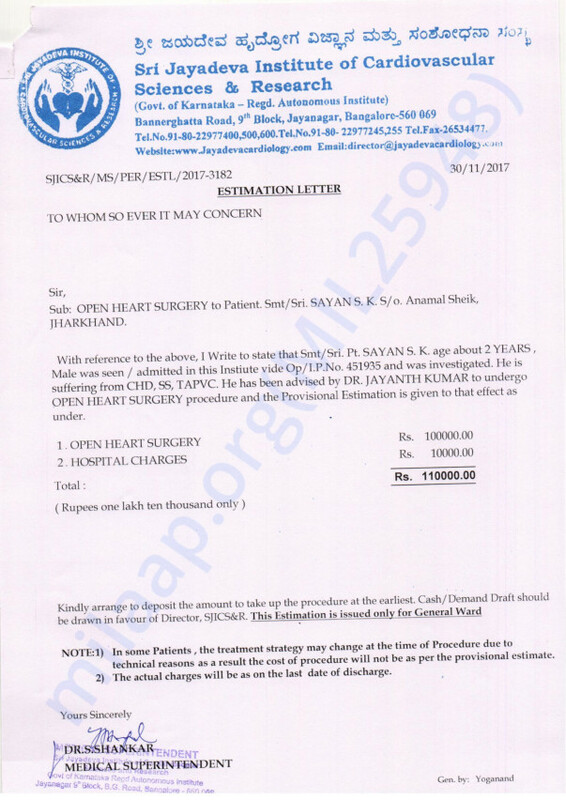 Later he was admitted to Jayadeva Hospital on 27.12.2017, he had undergone surgery on 04.01.2018 and was discharged on 16.01.2018. He has responded well to the surgery and recovering well. Post surgery, he has consulted Doctors for follow up and left to his native. Here is an update on Sayan. Sayan was admitted to the hospital for 12 days. As Sayan developed throat infection, the heart surgery that was to be done during that period was postponed. He was discharged yesterday and prescribed to take medication for the infection. Once he recovers, he will be admitted to the hospital to undergo the heart surgery. Currently, Sayan and his family are staying near the hospital for the checkups. Apart from the cold and cough, he is doing fine. We will keep you posted on further progress about Sayan. Thank you for your support and love for Sayan. Please keep him in your prayers.